Maddy Harland describes how the Permaculture Magazine Prize came into being and how this small initiative aims to recognise and celebrate those who work on the very edges; the poor, the disenfranchised, the mentally or physically ill or disabled ... the often ‘forgotten’ people with few or no opportunities, all over the world. I have always been blessed with privilege. I grew up in a family with two parents, with a dad who gave up his nationality of birth to become British and subsequently had a very successful career. I have always had enough to eat, a roof over my head, good health, family, a good education and a white skin. Permaculture teacher and renowned author, Starhawk, taught me to acknowledge and be grateful for that privilege. It is an ongoing and profound lesson as privilege and our awareness of its systemic effects are often unconscious. Once we begin to realise how privileged we are and be grateful rather than guilty, we become empowered to use it more wisely. As editor of PM, I am part of a global network and this has brought me into contact with many extraordinary and inspiring people. Last year it also opened an unexpected door. I was offered £10,000 by a generous benefactor to set up a prize that could be dispensed to best practice permaculture projects. There were no strings. Here’s the money, please find the best permaculture projects. One thing led to another and a second benefactor appeared who doubled the sum. I approached a number of colleagues around the world who agreed to lend their expertise and become judges. (You can find out who they are in PM98.) Then the Abundant Earth Foundation in the USA decided to support us by creating a Youth Prize. Suddenly, from the seed of a dream, we were talking £25,000. I had never done anything like this before and I had no budget at all to hire in consultants or help with shortlisting for the judges. I wrote the questions and our tech developer, Rob Squires, made the online form. I wanted to identify permaculture projects that made an impact regeneratively, by restoring their local ecosystems, pioneering innovative approaches to agriculture and horticulture, and helping regenerate their human community too. I wanted to find projects that benefited people on the edge: the poor, the disenfranchised, the mentally or physically ill or disabled ... the often ‘forgotten’ people with few or no opportunities, all over the world. Lastly, I wanted the prize money to go in full to the recipients. No award ceremony. No hospitality. No drum roll except for on these pages. Big ambitions! By the time the application process closed in June 2018, I had received 152 entries. It took days to read through them all. As I worked through them, I experienced a very mixed set of emotions. For many, English was not a first language, so I had to immerse myself in the process to try and gain the full measure their work. Most of them were applications about projects of the highest standard. I was inspired, humbled and sometimes moved to tears reading through. Now telling you this story takes me back to that place. What I also realised was the power of money and how permaculturists are able to do so much with so little. With £2,500, let alone £10,000, people were planning new agroforestry systems, new self-built schools, educational outreach programmes, enterprises ... the scale of innovation and commitment was huge. I realised how underfunded permaculture is globally and how much we could do if we could unlock the billions slushing around the world that are currently being at best directed into fossil fuels disinvestment, Green Bonds and renewables. If we could find the right language and present our case for restoration of ecosystems, economic and social regeneration, carbon sequestration, agricultural and enterprise innovation, we could significantly help alleviate disease and poverty through our methods, and unlock the resources that already exist. What a different world we would live in! I hope you, like me, feel inspired and humbled and that these stories give you hope for the world. 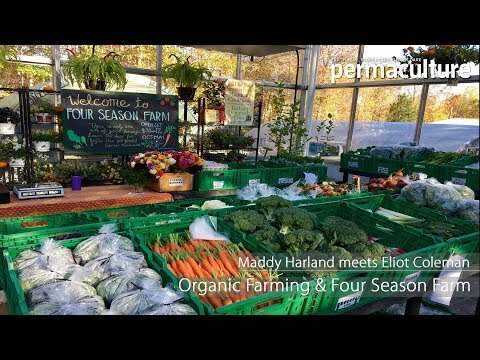 Maddy Harland is the co-founder and editor of Permaculture Magazine. She is also the author of of Fertile Edges: Regenerating Land, Culture & Hope and The Biotime Log.